Actress Sola Kosoko and her husband have announced the arrival of a new baby into the family. 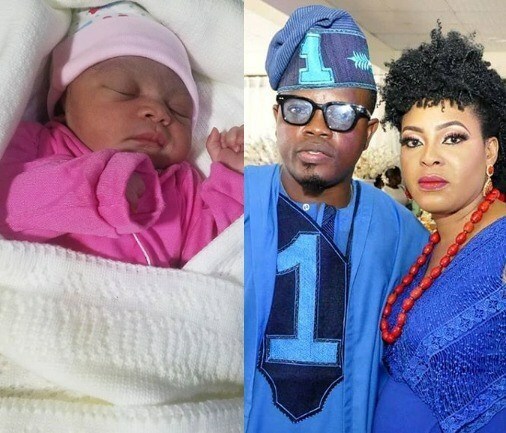 Kosoko took to her Instagram page to announce the arrival of a baby girl, praise God for the baby. According to her, she asked for an angel and God blessed her with one, saying that she was in the cloud because of the ‘little angel’ given her by God. “And my Princess has arrived, I asked for an angel and God blessed me with one. Looking into your cute face, I saw a reflection of me. Adorable is what you are. Can’t just stop staring at you. I am presently in cloud because you have brought me happiness. Welcome to the world my latest joy. God will bless you for me. Amen. Rejoice with me my wonderful social media family. Ire ayo ati anu oluwa ko ni tan ni odede everybody. Amin,” she said.